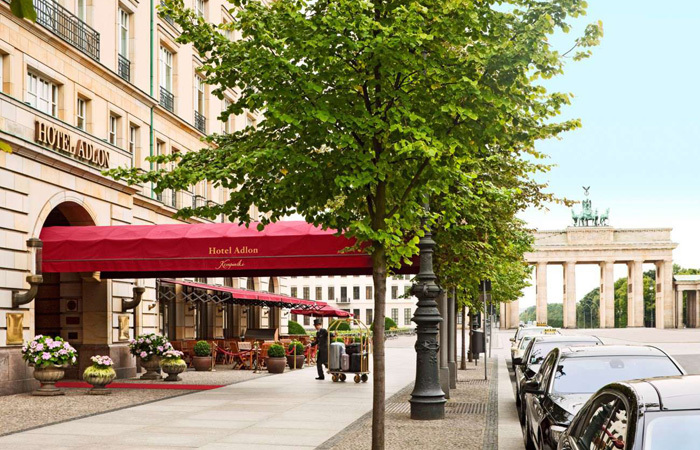 One of Berlin’s most luxurious and well-known hotels. All images courtesy Hotel Adlon. The facts: Built in 1907, the Adlon was largely destroyed by fire in 1945 during World War II. It wasn’t until 1997 that it was reopened with 382 rooms and suites, most of which face the famed Brandenberg Gate. The details: Berlin is one of those cities that what you see is what you get. There’s no bashfulness in the stark streets, buildings, arty corners and the city’s rich history. You could find yourself in just about any type of hotel here, from Berlin’s well-known and adored hostels, to crafty artsy boutique hotels all the way up to luxury five-star stays. One of Berlin’s best known and most loved hotels happens to be on the luxury end and they get luxury right in all ways possible. 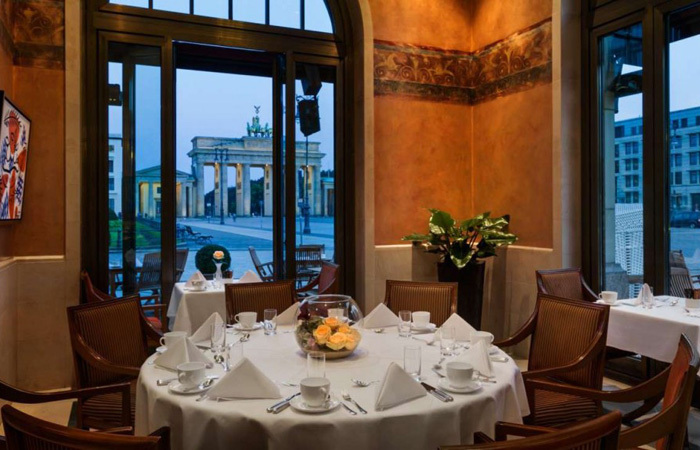 Set in a historic building on the east side of Brandenberg Gate, the Adlon is steeped in German and Berlin history (having been through world wars, the separation of East and West Berlin and the reunification). It stands beside the old Berlin Wall line in what used to be known as no man’s land (the section between east and west Berlin heavily guarded until the wall fell in 1989). 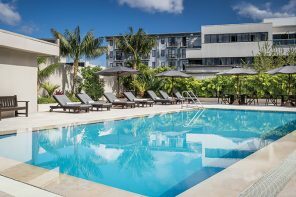 Despite the darker side of history that has surrounded the walls, the hotel’s incredibly affluent vibe makes it feel rich and full of life. 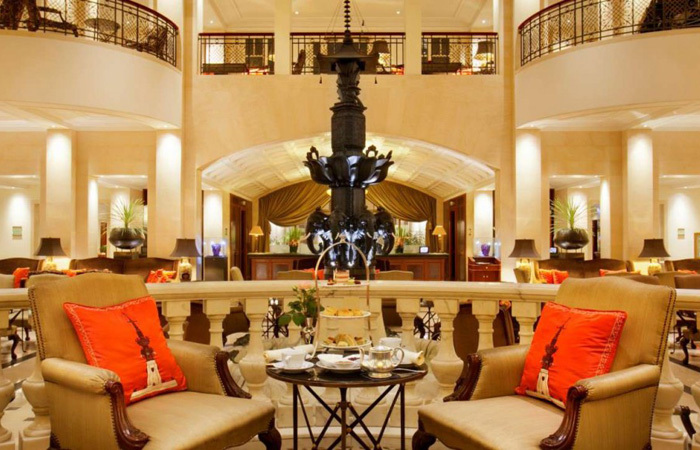 The lobby is luxe and sophisticated, the rooms are elegant and trimmed in dark woods and creamy linens and walls and the service isn’t hard to find (the hotel staff dress in red and are always asking if they can help in any way). 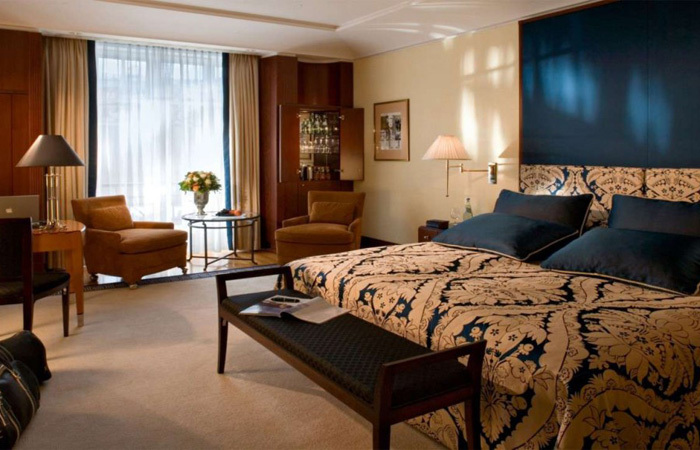 A Deluxe Room at Hotel Adlon. It’s also in a prime location. Berlin’s Museum Island (5 museums in one central location) is within walking distance, Postdamer Platz (Berlin’s large shopping district) is also close by, as is the trendy neighbourhood Mitte. Not to mention countless sights for history buffs to check out (Check Point Charlie, The Memorial to the Murdered Jews of Europe is behind the hotel, and many of Adolf Hitler’s bunkers were nearby). The spa: Who doesn’t love a hotel with an amazing spa? The Adlon Spa by Resense has your standard massages, customized facials and body treatments – but they also offer yoga classes that can be booked for one-on-one sessions. You can’t go wrong with the Ultimate Skin Nourishment facial to boost your complexion. The restaurant: The Adlon has four restaurants to choose from, but if you’re looking to continue the luxe feeling, head to Lorenz Adlon Esszimmer the hotel’s 2-Michelin-Starred restaurant where you’ll dine on classic German and Berlin dishes with a modern twist (the goulash is to-die-for). Tip: A room with a view of the Brandenberg Gate and the park along the otherside may be a bit more pricey, but it’s worth it for the added photo opts and to see the gate by night.